Going through a divorce is a huge emotional blow and will undoubtedly be a pretty big financial blow, too. Even though we ladies are climbing up the rungs of the corporate ladder, we still earn less than men. We are also still more likely to drop out of the workforce in order to care for the kids. That means that divorce often hurts us a lot more financially than our husbands. The divorce laws in each state try to provide support for lower earning spouses. For instance, higher earning spouses may be compelled to pay alimony and/or child support to the lower earning spouses. Of course, good intentions don’t always translate into reality. We’ve all heard stories of deadbeat ex-husbands who refuse or simply can’t pay alimony and child support. Even well-meaning ex-husbands may end up leaving their ex-wife in a lurch if they die unexpectedly. What can you as a smart, driven, and financially savvy woman, do to make sure that you get the financial support you need from your ex-spouse after a divorce? One solution is to make your ex-husband buy a life insurance policy as part of your divorce negotiations. What Good Is a Life Insurance Policy? Even if your ex-husband assures you that he is fully committed to paying monthly alimony and child support, he won’t be able to keep that promise if he dies. You need a guarantee that you’ll get the money you are entitled to. 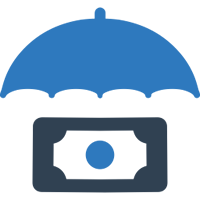 That’s exactly what an insurance policy is – a guarantee of payment. As part of your divorce settlement, ask your husband to take out a life insurance policy and name you as the beneficiary. This policy can then serve as your guarantee if the worst should happen. What Type of Life Insurance Policy Should You Ask Your Ex to Get? Life insurance is something that you will need to negotiate for as part of your divorce settlement. You’ll need to work with your divorce attorney to determine how big a death benefit you should ask for. If you want to hear from professionals within the divorce industry discuss this and other relevant divorce topics, consider signing up for the next Second Saturday Divorce Workshop in your area. Also, we’ve got lots of other great advice right here in our divorce article archive. Keep reading. Hi does anyone know how I can get proof that my ex husband has actually purchased court ordered life insurance with me as the beneficiary? I have a son with aspergers so this is pretty important and the man is a liar and refuses to speak to me.